Amazonian jellyfish, creatures native to the South American rainforest, have arrived in a Merseyside canal – and the hot weather may be to blame. Hundreds of the invertebrates floating in the Sankey canal, each measuring not more than 2cm across, were discovered by an angler as he walked his dog in St Helens on Monday night. The jellyfish are generally harmless to humans and pose no known threat to wildlife. 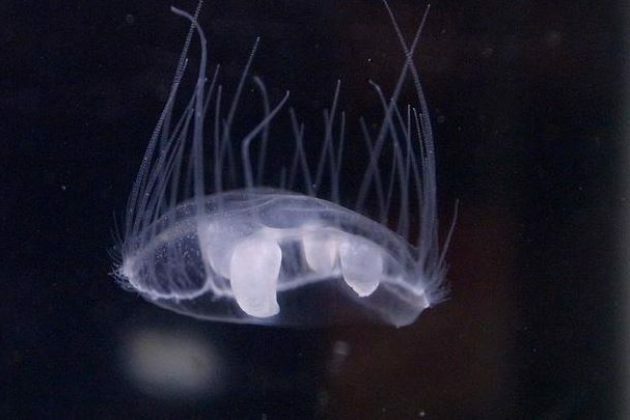 Jane Sansbury, from the Environment Agency, said: "Normally jellyfish live in saltwater but these are freshwater jellyfish. "We can’t say exactly how they made it into the canal, but we think some imported tropical plants containing the jellyfish may have been dumped in the water. "They could also have arrived in fishing bait."